Dr. Annie Burgess is the ESIP Lab Director. Annie’s graduate and post-graduate career has straddled the divide between Earth Science and informatics. She completed a Post-doc at the University of Southern California with Dr. Chris Mattmann where she was developed software for the unique needs of the Polar science community, specifically, expanding text and metadata extraction for scientific data formats. 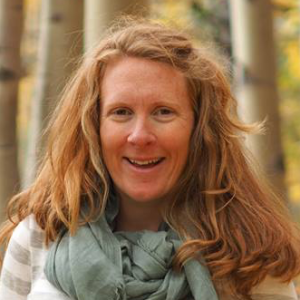 Annie entered the world of informatics during her Ph.D. when faced by challenges in processing and distributing the immense amounts of data produced by her research, which focused on satellite remote sensing and snow hydrology. Fortunately, she had the opportunity to collaborate with a group of computer scientists at NASA/JPL where she learned about workflows, software best practices, data management, version control and more. Annie knows the power of connecting Earth scientists with the right data, software, and computing skills. At ESIP, she utilizes her technical savvy and community-building experience to continue to build momentum in the ESIP community’s research and development capabilities.